Place doormats or walk-off mats at each entryway to collect excessive moisture and dirt. Sweep, dust-mop or vacuum (without a beater bar) your floor to remove loose dirt and grit. Periodically use a damp mop to restore your floors shine. Purchase a laminate cleaner specifically made by the manufacturer for your particular floor. After damp mopping, use a clean, dry cloth to soak up excess moisture. Use floor protectors on the bottom of your furniture and when moving furniture, lift rather than drag it across your floor. Never use soap-based detergents or “mop and shine” products. 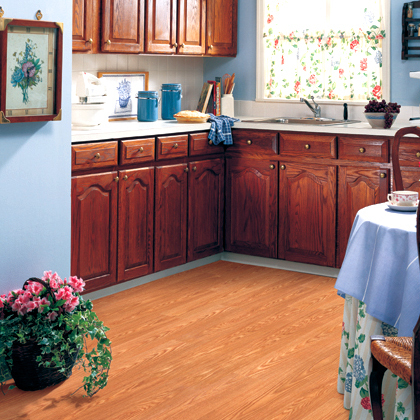 Never flood your laminate floor with water or cleaners. Never attempt to sand or refinish your laminate floor.